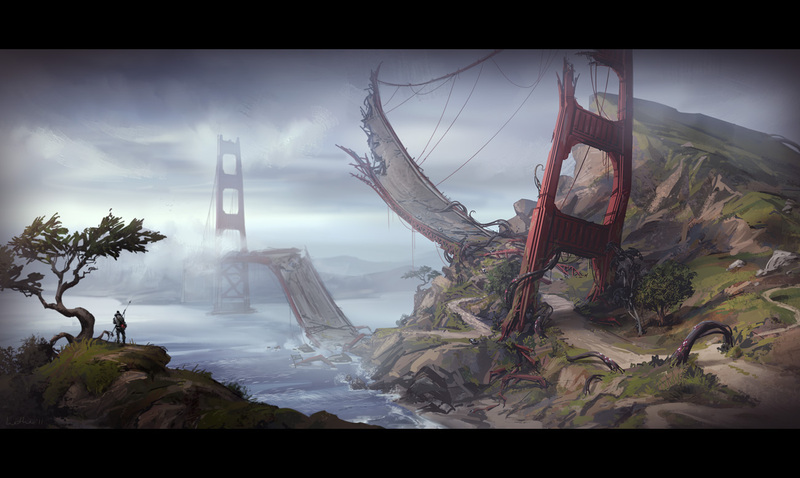 Here are some concepts for the busted Golden Gate Bridge in Defiance. 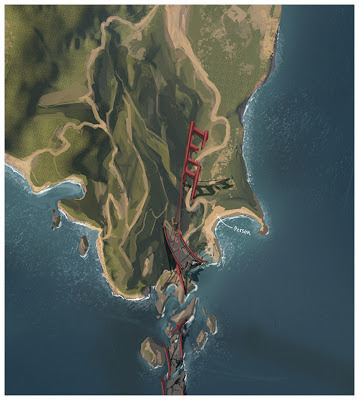 One of my coworkers, the multi talented Sacha Roberts, had done some initial sketches exploring this. I followed up those sketches with these so the environment team would have a clear picture of how to build this section. Love the care and sensitivity you put into your work! Thanks man, that's very kind.